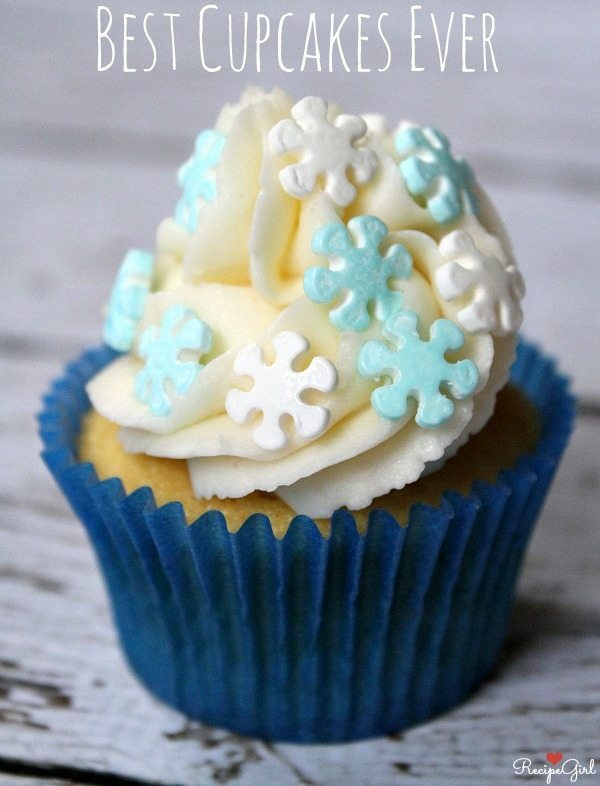 Here’s what I shared on Parade Magazine‘s blog this week > THE BEST CUPCAKES RECIPE EVER. 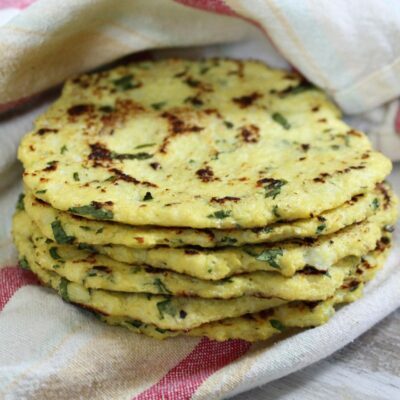 Seriously, these are always a major hit… at every single party I bring them to! Do you have a super simple, impressive recipe with 6 or fewer ingredients?? 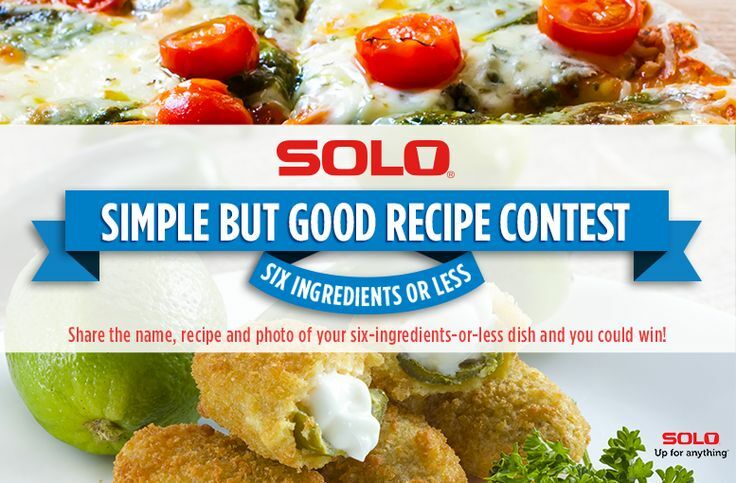 Here’s your chance to enter it into the SOLO Simple But Good Recipe Contest. The contest goes on for four weeks- with a different theme each week. This week’s theme is GIRL’S NIGHT. So whip out your best chocolate recipe, fun appetizer, cocktail or anything else that would go with that theme and submit to the SOLO Facebook page. It takes 5 minutes to enter, and the prizes are really fun too (this week’s Girl’s Night prizes include a SOLO product pack, a wine opener, a serving platter and a Recipe Girl Cookbook!) Follow SOLO on Facebook and Pinterest to keep in touch with contest details! Let me know what you decide to enter, and good luck! 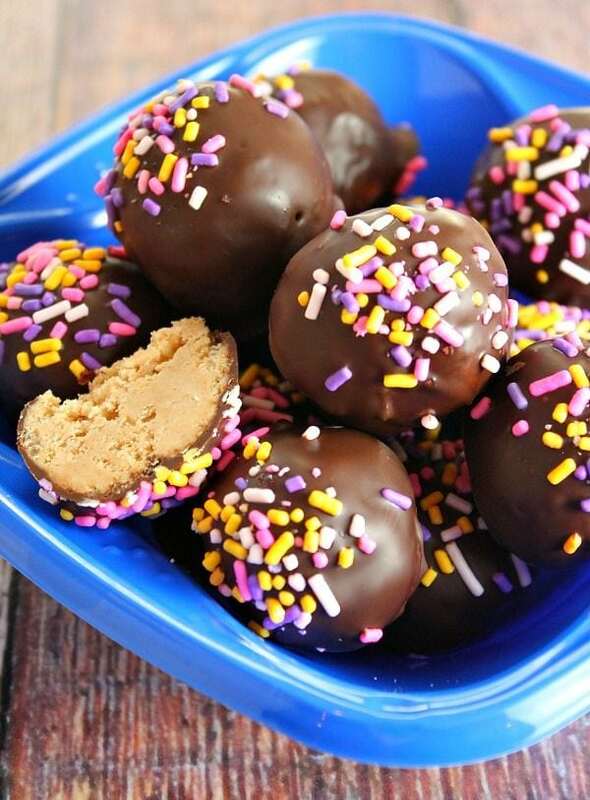 If I were entering a recipe into week 1 (Girl’s Night) of the SOLO Simple But Good Recipe Contest, here’s what I’d enter > Chocolate Peanut Butter Balls. Chocolate + PB is perfect for a Girl’s Night! There are only 12 entries so far- as of today, so your chances are great for winning. Enter your best super simple recipe! 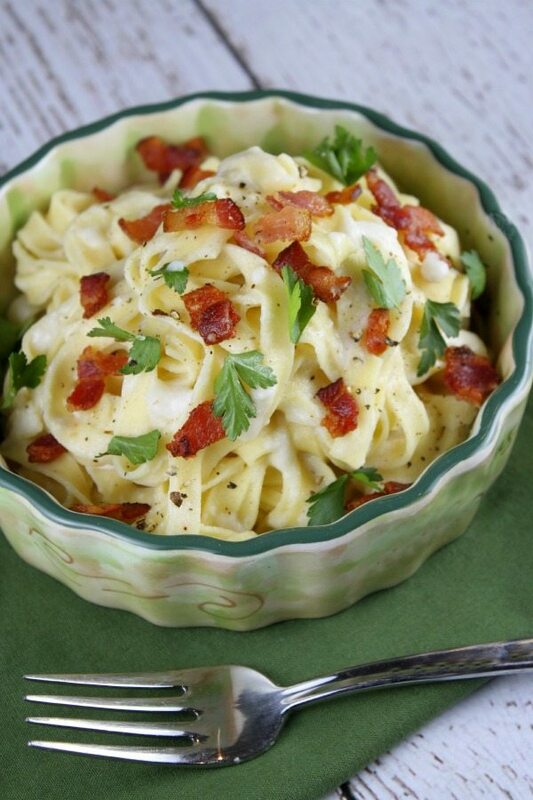 Here’s what’s happening on my other blog- Culinary Covers– this week > LIGHTENED UP FETTUCCINE ALFREDO w/ BACON. My family loved this recipe, and there are some great tips about managing your food intake from Cooking Light mentioned in the blog post as well. My friend Ashley from one of my favorite blogs- Kitchen Meets Girl– is sharing a recipe from The Recipe Girl Cookbook today! 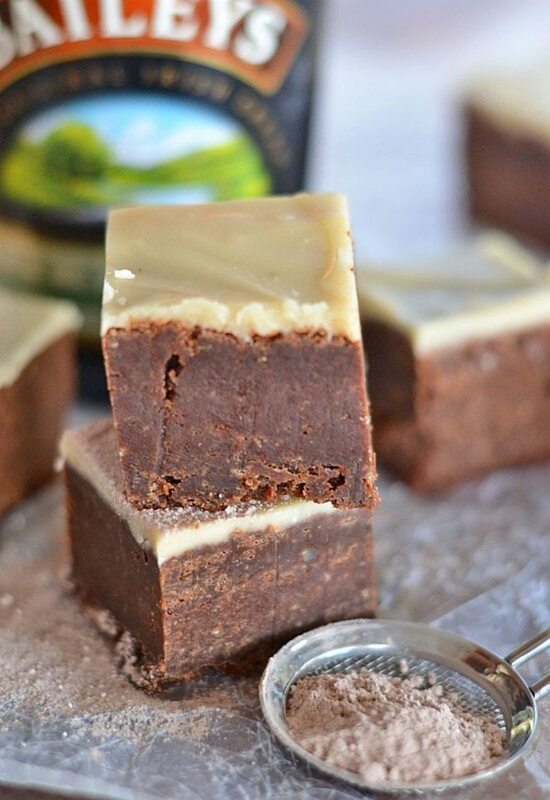 > IRISH CREAM BROWNIES w/ BROWN BUTTER ICING. I love this recipe! If you have enjoyed my Kahlua Brownies, this recipe is very similar, so you’ll like this one too. 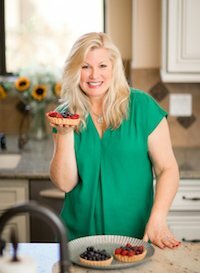 Ashley is hosting a RECIPE GIRL COOKBOOK GIVEAWAY too! You can also pick up my book on Amazon (or at Target or Barnes & Noble). Amazon is featuring it for a good price this week- $16.61. Here is another recipe contest to consider entering: The Pillsbury Bake-Off! I was a judge for the Bake-Off last year, and we chose this amazing recipe as the million dollar winner: LOADED POTATO PINWHEELS. When you see how simple this recipe is, you will realize that you definitely do not have to be a gourmet cook to enter and win the bake-off. You just need to create something really delicious, that maybe is a little unique, and that utilizes the Pillsbury products. This year’s Contest, which is now open for entries at www.BakeOff.com, will culminate at the finals November 3, 2014, at the Omni Nashville Hotel in Nashville, Tenn. The Contest ingredient list has been expanded to include Pillsbury’s Gluten Free line of products. Participants have two chances to enter and vote. The first entry period includes the Simply Sweet Treats and Savory Snacks & Sides categories and is open for entries from now until March 27 (11:59 a.m. CDT), 2014. The second contest entry period runs from March 27 (1:00 p.m. CDT) to May 8 (11:59 a.m. CDT), 2014 and calls for Weekend Breakfast Wows and Amazing Doable Dinners recipes. You can totally win this!!! 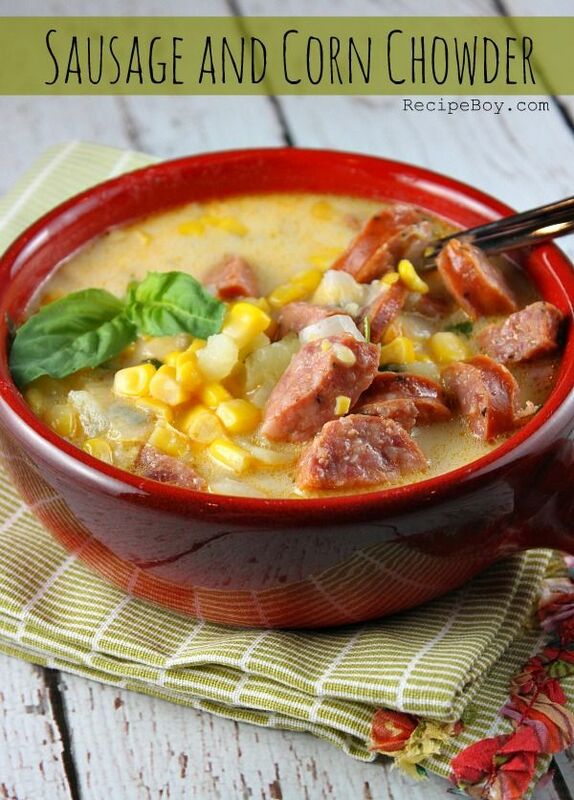 My teeny tiny little 5 foot eleven inch 12-year old son made us some really good soup the other day, and he is featuring it on his blog > SAUSAGE AND CORN CHOWDER. It is super simple to make, and family-friendly too. 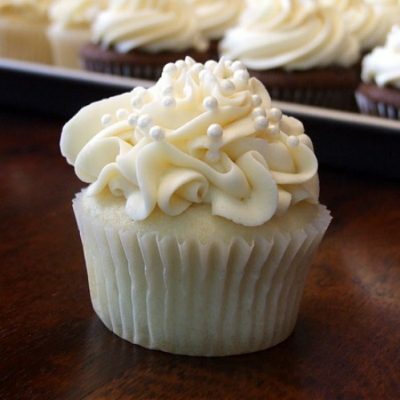 BEYOND FROSTING: Julianne (originally from Vermont) blogs from Southern California. 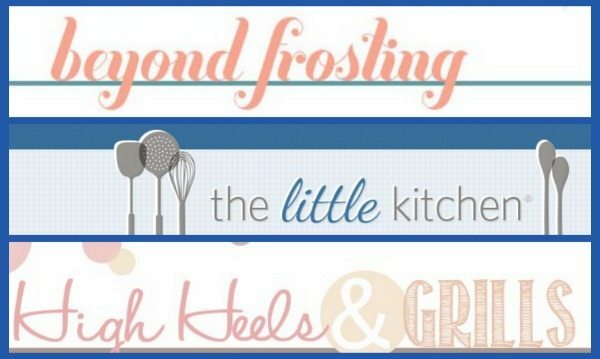 You’ll find all kinds of amazing baking treats on this blog! I seriously love everything she posts. Julianne’s latest post: Marshmallow- Oreo Brookies. THE LITTLE KITCHEN: Julie blogs from sunny Florida. 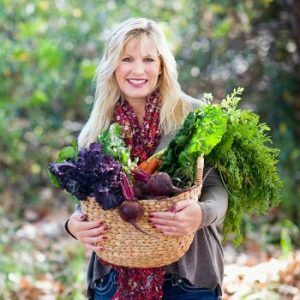 She shares recipes for all meals of the day + giveaways too, and she has some pretty awesome photography skills. I’ve met Julie many times, and she’s a very nice person indeed. Her latest post: Easy Broccoli Cheddar Cheese Soup. HIGH HEELS & GRILLS: Sarah (the high heels) and Zachary (the grills) blog from Utah. Cute name for a blog, huh? They share SIMPLE family-friendly recipes on their site (recipes that won’t scare people off). Their latest post: Crockpot BBQ Chicken Sandwiches. Do you ever go to a restaurant, fall in love with something you ordered, and then come home and try to re-create that recipe? That’s something I do ALL THE TIME. My friend Donna is totally genius at doing this sort of thing. She re-created 10 COPYCAT RECIPES FOR YOUR RESTAURANT FAVORITES. 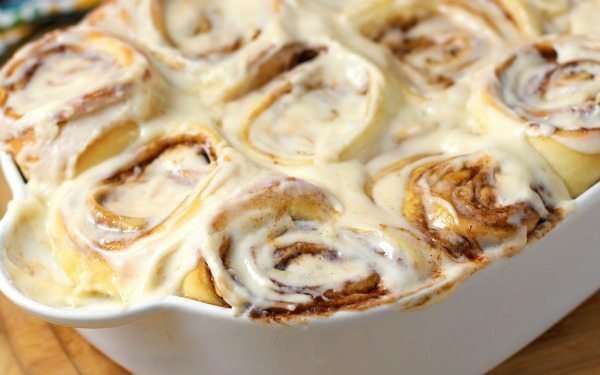 This one pictured here is- of course- Cinnabon Cinnamon Rolls, but she also shares favorites from Olive Garden, Cracker Barrel, Chipotle and more! 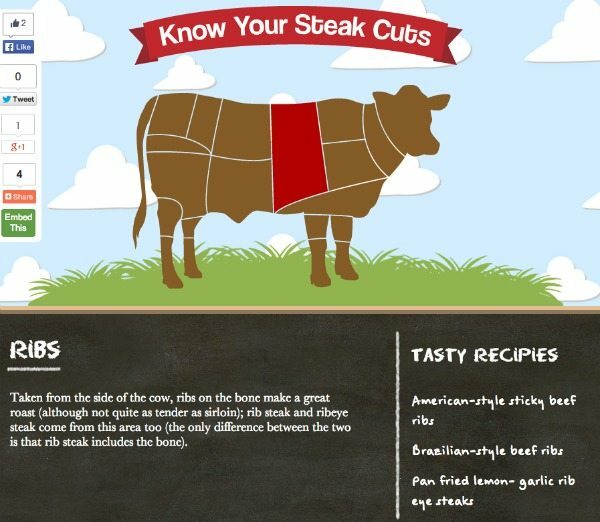 Here’s a fun, interactive graphic from The Gourmet Society > KNOW YOUR STEAK CUTS. This here is just a snapshot of what happens when you click on a cut from the cow, but on their website you can actually click the different parts of the cow and a descriptor + recipe links for that cut of the cow will pop up. Cool, huh? My recipe for Pan-Fried Lemon Garlic Rib Eye Steaks is featured on their RIBS cut! And finally… my husband and I went to the Pentatonix concert last weekend. They are the a capella group that won The Sing Off a couple of years ago, and they have skyrocketed in popularity ever since. They are amazingly talented- all of them. The concert was fun, but we’re not superfans so we didn’t enjoy it quite as much as 98% of the crazed fans who were there. We actually stood in line with a couple who took a train from Kentucky to Reno to see these guys, and the people we sat next to during the show flew in from Canada. I had no idea they were that popular! This video gives you an idea of their range of talent! Until next week, my friends… have a good one! Way to make me hungry first thing in the morning lol. Pasta, sweets and more! I want it all! Hi Lori! Thank you so much for the shout out! I have been a long time fan of yours. Hope to see you at a conference this summer. Until then, I hope you get some more snow in Tahoe this weekend. We are in for some serious rain down here!